When the words “home gardening” spring to mind it’s hard not to immediately think about juicy, red tomatoes. Not only are they an extremely versatile fruit (that’s right, technically they’re not actually a vegetable), but they’re also great when it comes to seasonal canning projects. 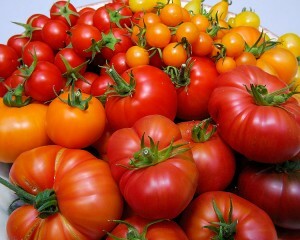 Moreover, growing tomatoes isn’t really that hard at all and nearly everyone seems to love them too, so it’s a win-win situation. 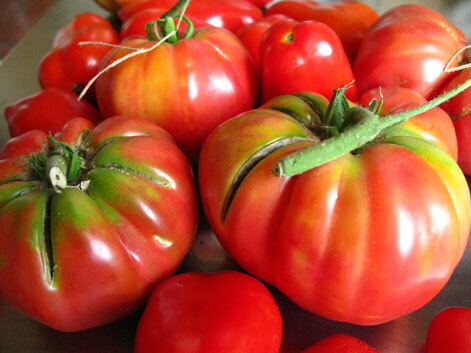 Of course, among all the countless varieties out there, it is the heirloom versions that seem to garner the most interest from true green-thumbed gardeners from around the world. In case you don’t already know, when we refer to “heirloom tomatoes” we’re actually talking about a specific class of crops which are considered to be non-hybrid / open-pollinated. Needless to say, there are a staggering number of heirloom varieties, with each one possessing its own unique traits, taste, colours and sizes. Additionally, since the seeds actually “breed true”, heirloom plants can be more easily cultivated in terms of seed collection. 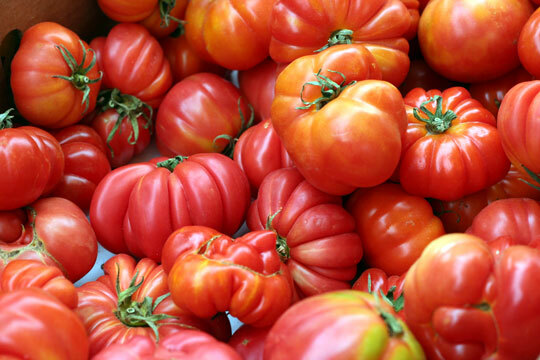 Naturally, among those thoroughly entrenched in the private gardening industry, these types of tomatoes aren’t just desirable, they are cherished. As you are probably no doubt aware, tomatoes can be a bit finicky. One the one hand requiring lots of water and nutrient rich, moist soil, but if you add too much – watch out, the crop will die off rather easily. 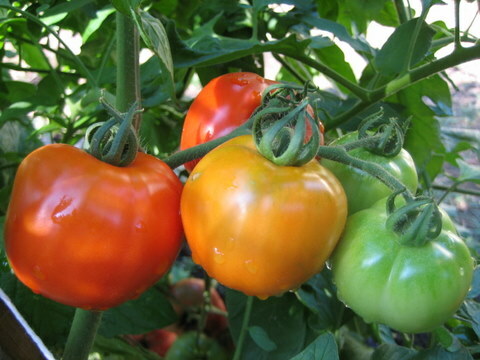 More often than not, most people encounter problems with tomatoes because they simply water them too frequently. Aside from that, there will occasionally be cases of fungi or other organisms infecting the plant’s roots and turning an otherwise tasty crop into garbage. A lot of people actually turn toward the plant itself at a certain stage of growth for indications of how much water is required. Typically, when you begin to see the plant’s leaves making curls at the tips they’re probably ready for a good watering. Again however, don’t flood them out, just a nice swig of water will do. 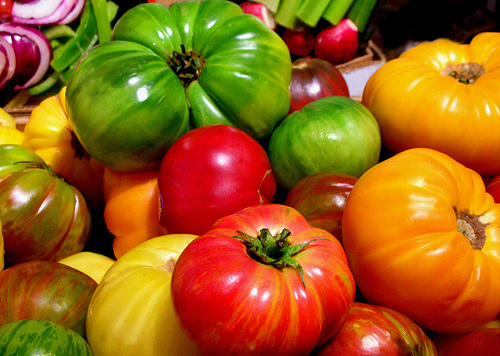 Likewise, all varieties of heirlooms are different and might require you to learn their quirks in order to develop a watering schedule around them. All in all, you must experiment to find “just the right amount” of water to treat them with and then perhaps find a special container to use for that specific purpose so that there’s a smaller margin for mistakes. As expected, there are also tons of different planting tips that people have come up with over the years. Some will actually opt to stick calcium tablets under the roots of a young transplant, but this is only for situations where the soil might be lacking in alkaline, etc. Others tend to do this because their land is prone to generating “blossom end rot”, which in case point it’s really just a preventative measure. Yet another elegant solution to certain tomato maladies, like the mosaic virus or other mildews, etc. is to simply add some milk to your water spray mixture. Just add one cup per 10 cups of water and liberally spray it over the plant itself. Those with a more extensive crop base will also be happy to note that the mixture works on many other plants as well. All in all, this milk method seems to promote better overall long-term health as well as remains infinitely healthier than resorting to conventional insecticides. If you’re just going after fungus outbreaks, lots of people swear by the old oil + baking soda + water method (one spoon of baking soda and oil each mixed into one gallon of water). You simply spray it on the affected areas and watch the trouble spots disappear. Protecting the underside of your plants is also very important, particularly if your land is infested with little “critters”. Lots of people insist that you should actually stick large planters into the ground or create some type of “guard” which only protects the underground perimeter of the plant, leaving the bottom fairly open. You can use something like a 5 gallon bucket for this if you wish. You’re probably not going to hit on the best strategy at first, nor will you figure out all the ins and outs of your land on the first planting season. Give yourself a bit of time to figure things out and don’t be afraid to adapt as necessary, within a few years you’ll impress the neighbours with your bountiful annual harvests.